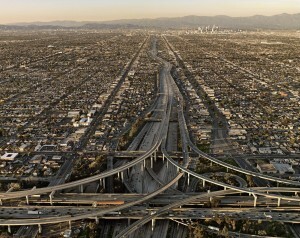 The freeways don’t always look so bad in Los Angeles. This entry was posted in Uncategorized on July 30, 2013 by Bryan Nguyen. City officials have been working with lawmakers to work to stop the rising number of accidents that end in a hit-and-run. According to reports, an estimated 4,000 people are killed in nearly 20,000 reported hit-and-run accidents each year. Most of the incidents only involve property damage; however, the amount of people killed is still staggering. Nearly half of all reported collisions in Los Angeles result with a driver fleeing the scene. The responsibility lies with LAPD’s Traffic Divisions, but they will also be working with City Hall and law enforcement to ensure that this number goes down. Recommendations to increase the penalties for those who leave the scene of an accident were well received and may deter those who in the future consider fleeing. It is not only the law officers who are working together to improve this dire situation; it should also be the community. Los Angeles residents should assist in making accidents less tragic by supporting this project. Hit-and-run accidents are incredibly inconvenient and sometimes life-changing. If you or someone you know has been involved in an hit-and-run accident, or any other kind of accident, contact a Los Angeles injury attorney today. We can assist you with identifying negligence, filing insurance claims; and can ensure that your compensation is appropriate based on the damages from which you have suffered. 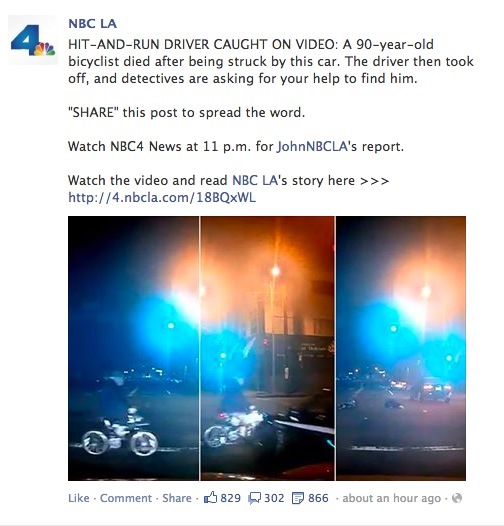 This entry was posted in Uncategorized and tagged Hit and Run, Injury Attorney, Los Angeles on July 26, 2013 by Bryan Nguyen. Beginning August 3, Los Angeles Metro will be closing the northbound I-405 Freeway off-ramp at Sunset Boulevard. The closure will last for 120 days. This closure is a part of the I-405 Sepulveda Pass Improvements Project. During this closure, the contractor is hoping to accomplish building a new off-ramp that will be 60 percent longer than the one that is currently used today. It will include two northbound right turn lanes to eastbound Sunset Boulevard and one northbound left turn lane to westbound Sunset Boulevard. Drivers are encouraged to plan ahead and route detours according to their commute. Daytime: Northbound I-405 off-ramp to westbound Wilshire Boulevard, to northbound Sepulveda Boulevard, to eastbound Sepulveda Way, to westbound Sunset Boulevard. Alternate: Moraga Drive off-ramp, to southbound Sepulveda Boulevard, right on Church Lane to Sunset Boulevard. Nighttime: Northbound I-405 off-ramp to westbound Wilshire Boulevard, right on northbound San Vicente Boulevard, right onto north Barrington Avenue, left onto westbound Sunset Boulevard. Northbound I-405 off-ramp to eastbound Wilshire Boulevard, to northbound Veteran Avenue to eastbound Sunset Boulevard. 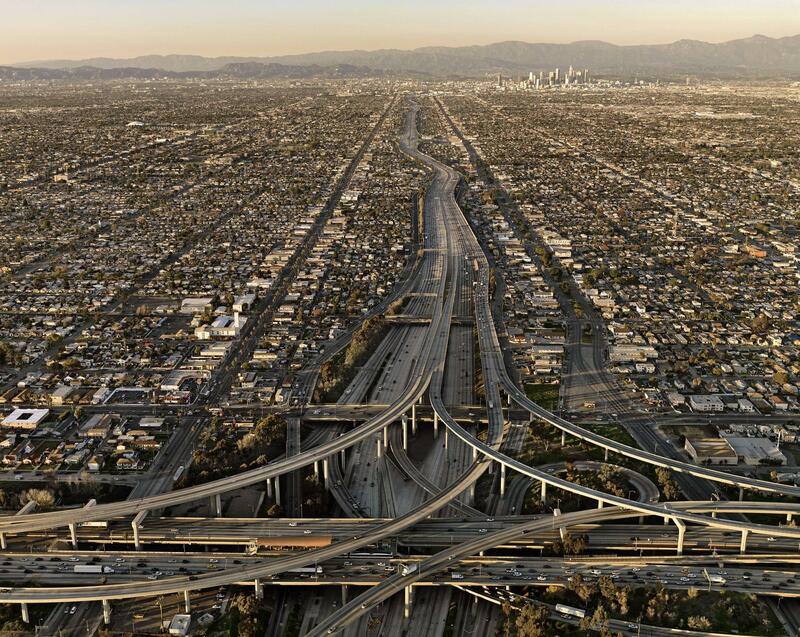 The entire project will take time and has a lot of features to improve Los Angeles drivers’ commute. Be aware of closures not only to lessen your drive time, but also to increase safety. This entry was posted in Uncategorized on July 26, 2013 by Bryan Nguyen. On Friday night, a teenager was hit by a car while standing outside of a house party and was seriously injured. Though his recovery is taking its time, he is remaining positive. Caleb Taylor resides in a Santa Ana hospital ICU right now rather than in Irvine, where his family lives. His injuries threaten his athletic lifestyle where he excels in baseball because he was the unlucky victim of a random crash. The Irvine Police responded to a call that came in around 10:15 p.m. Friday night, claiming that there was an accident at the intersection of West Yale Loop and Stone Creek North. According to Taylor’s friend’s reports, Taylor was outside attempting to break up a fight that was ongoing when a vehicle intentionally drove into the crowd. The driver was allegedly driving at high speeds. Including Taylor, his actions injured three people. Police apprehended the suspect, but he has been released after posting his bail. He is expected in court on Tuesday. Taylor is keeping his spirits up despite his current situation. He has undergone one surgery and is waiting to learn what more is required. If you or someone you know has been injured in an accident, contact a Santa Ana car accident lawyer who can assist you with identifying negligence, filing insurance claims; and can ensure that you receive the highest possible compensation for the damages that you have suffered, including punitive damages in the event of serious injury or death. This entry was posted in Uncategorized and tagged Car Crash, Injury, Irvine, Los Angeles Accident Attorney, Pedestrian Accident, Santa Ana on July 23, 2013 by Bryan Nguyen. Due to a fiery incident that occurred last week in Elysian Park, the Interstate 5 Freeway will be closed this weekend for repairs. The California Department of Transportation has stated that the southbound I-5 connector to the southbound SR-2 will be closed from 3:00 a.m. to 3:00 p.m. on Saturday. Last Saturday, a large tanker carrying 8,500 gallons of fuel crashed in this location and a massive and destructive fire erupted. The truck overturned and immediately was enveloped in flames. Miraculously, the driver survived the accident with only minor injuries. Commuters this weekend are urged to find alternate routes to avoid delays and heavy traffic. There will be detour signs posted around the area to assist drivers in navigating their new paths. Keep an eye out for traffic and unsafe drivers this weekend to ensure that the freeway will remain open in the future. If you or someone you know has been injured in an accident, contact a Los Angeles car accident lawyer who can assist you with identifying negligence, filing insurance claims; and can ensure that you receive the highest possible compensation for the damages that you have suffered, including punitive damages in the event of serious injury or death. This entry was posted in Uncategorized on July 20, 2013 by Bryan Nguyen. Today is the anniversary of a very tragic accident that took place ten years ago. Ten people were killed after a man drove his vehicle into the farmer’s market in Santa Monica, California. An emotional commentary on the accident was written on LA.StreetsBlog that details the crash and the victims. Today I want to share that post to remind everyone of the ways that accidents can affect anyone’s life. In this particular accident, men, women, couples, children and even a baby were killed. If your driving skills are impaired for any reason, opt out of driving a vehicle yourself. There are other options and choosing one of those can possibly save a life. This entry was posted in Uncategorized on July 18, 2013 by Bryan Nguyen.